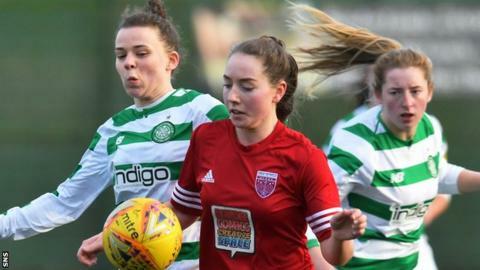 Last year's SWPL Cup runners Celtic face a trip to city rivals Glasgow City in this season's last eight. Eddie Wolecki Black will go up against his former side - with who he won four consecutive trebles - in his first full season as Celtic head coach. Holders Hibs, who have won the trophy three years in a row, are away to Stirling University. Rangers host Forfar Farmington, while last season's Scottish Cup finalists Motherwell are at home to Spartans. The ties are due to be played on Sunday 24 March.